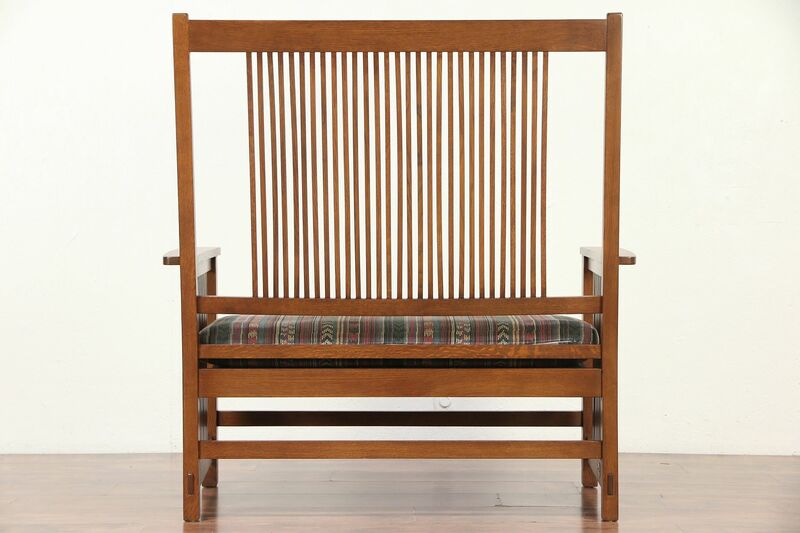 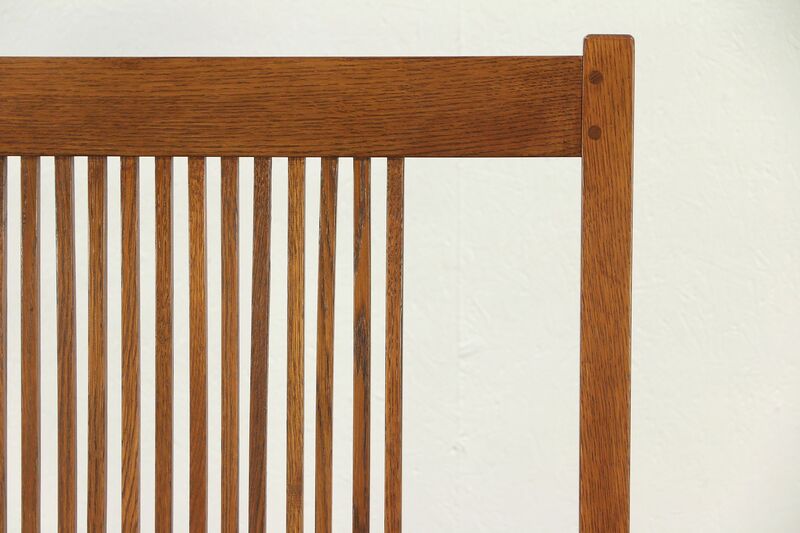 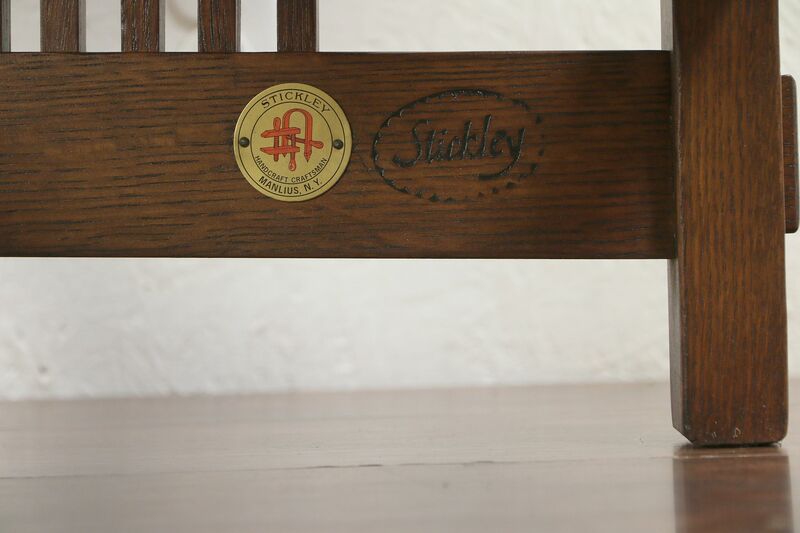 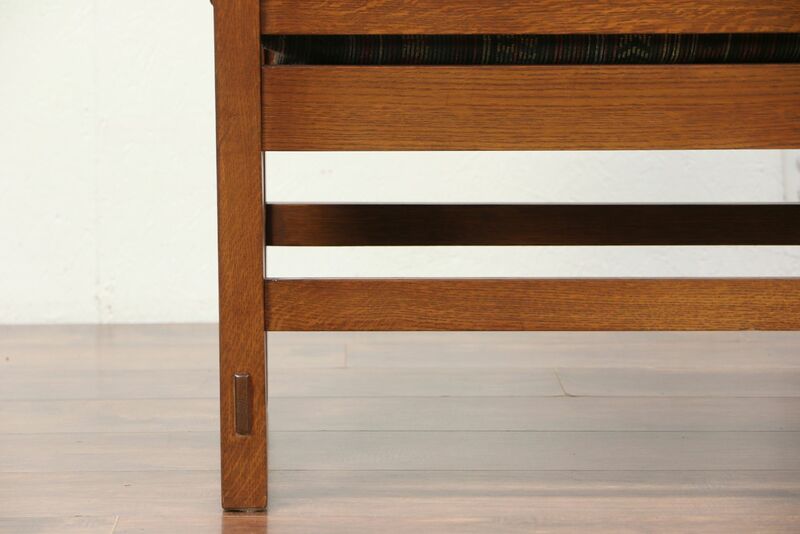 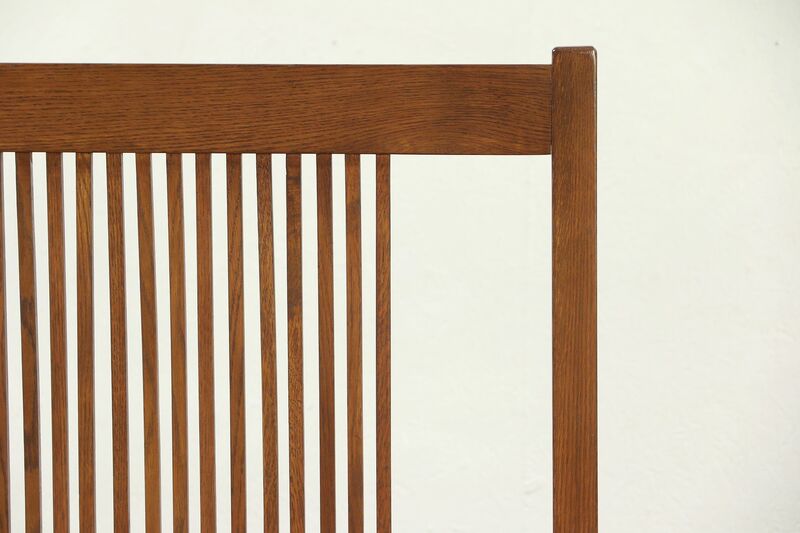 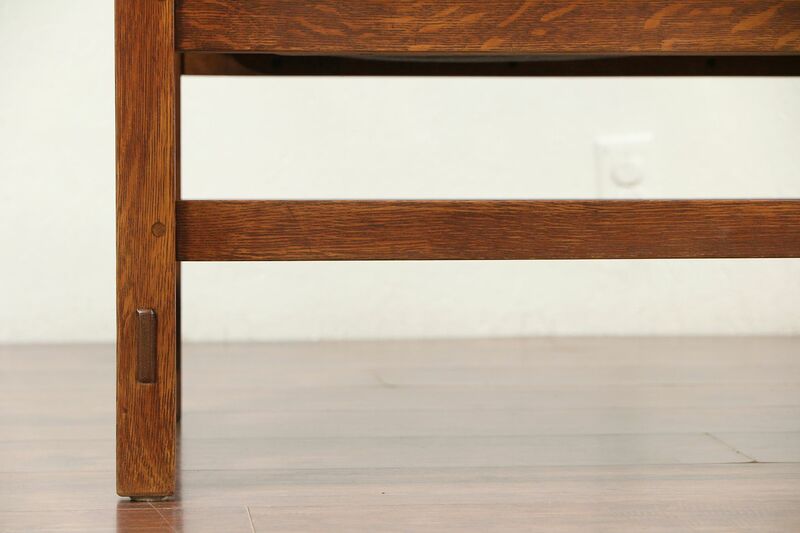 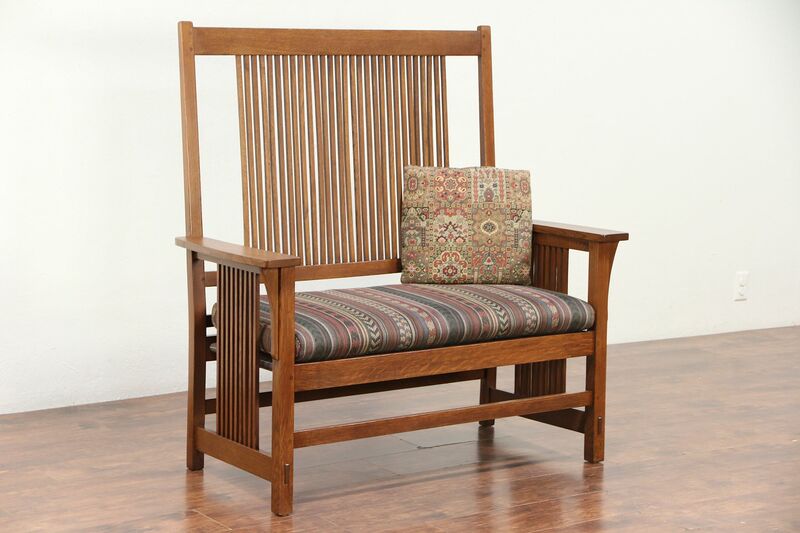 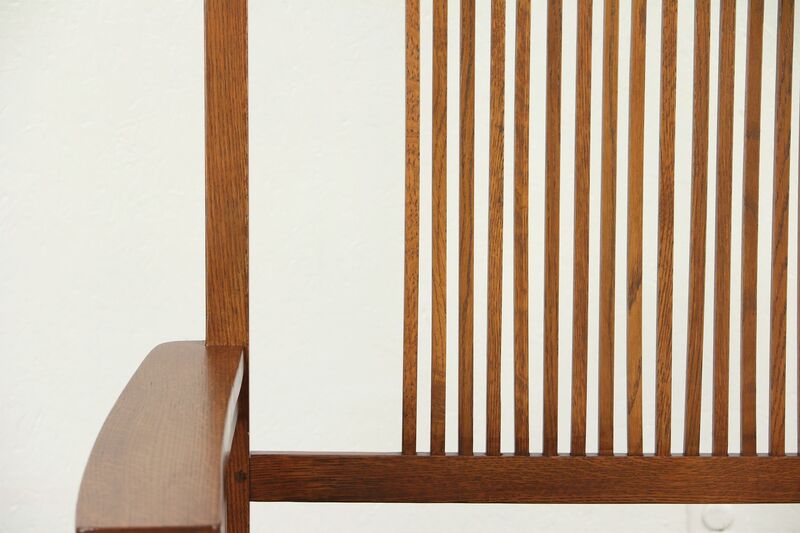 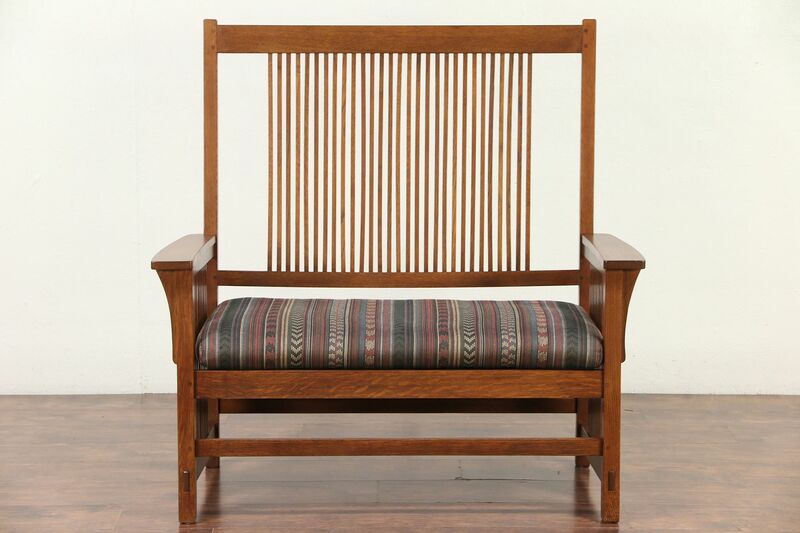 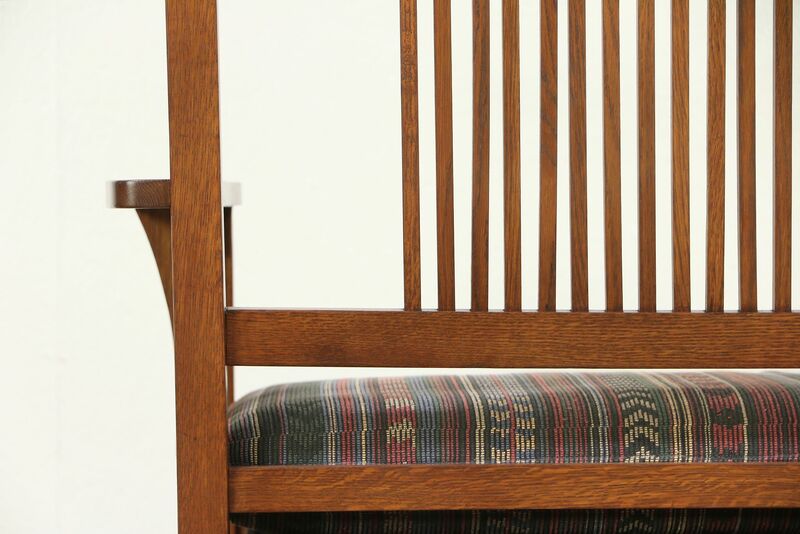 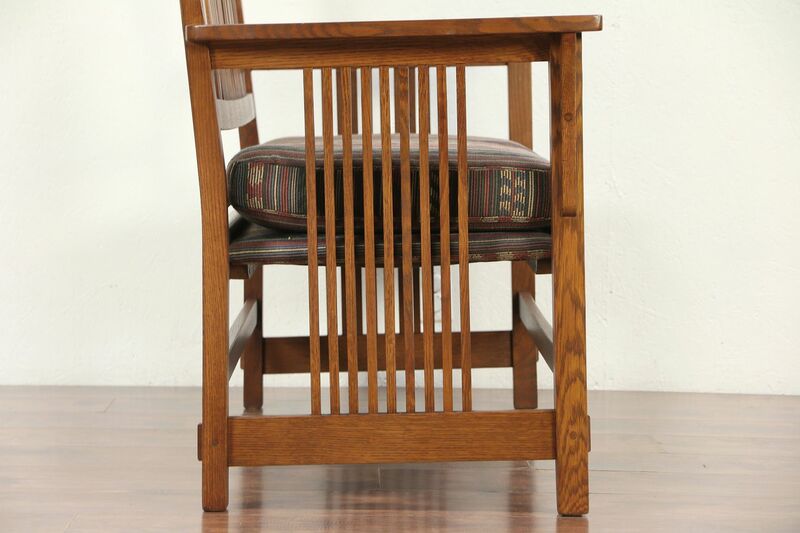 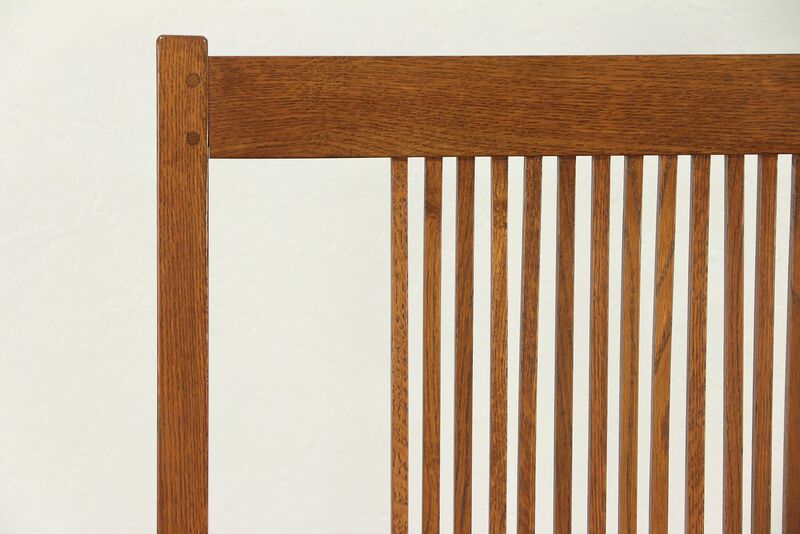 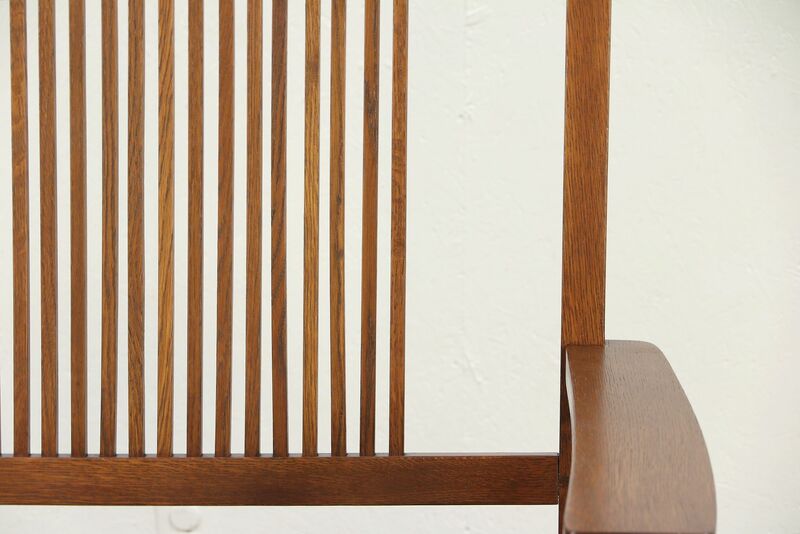 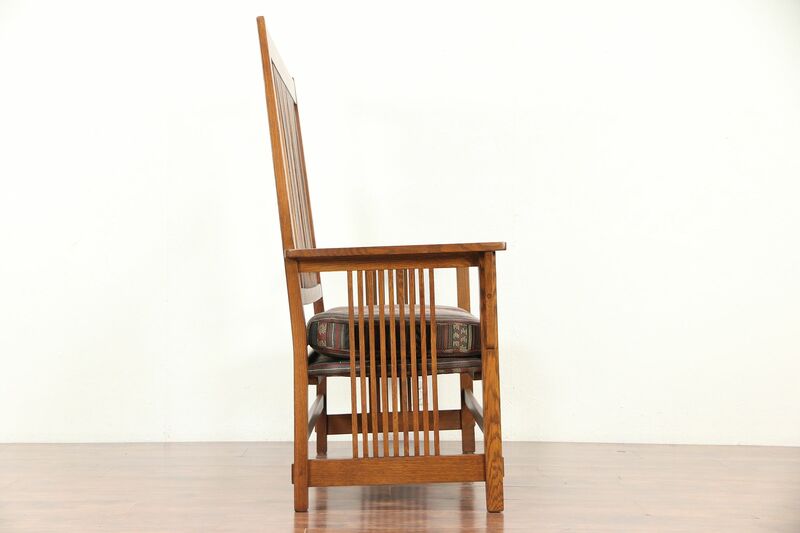 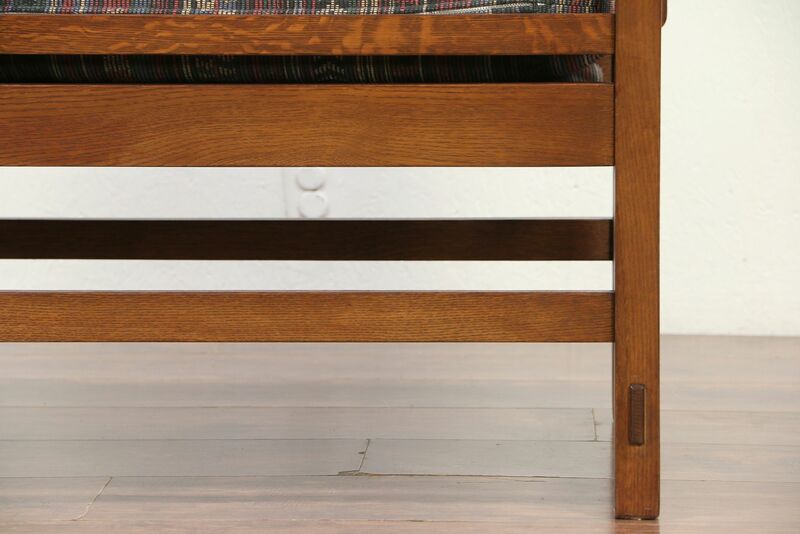 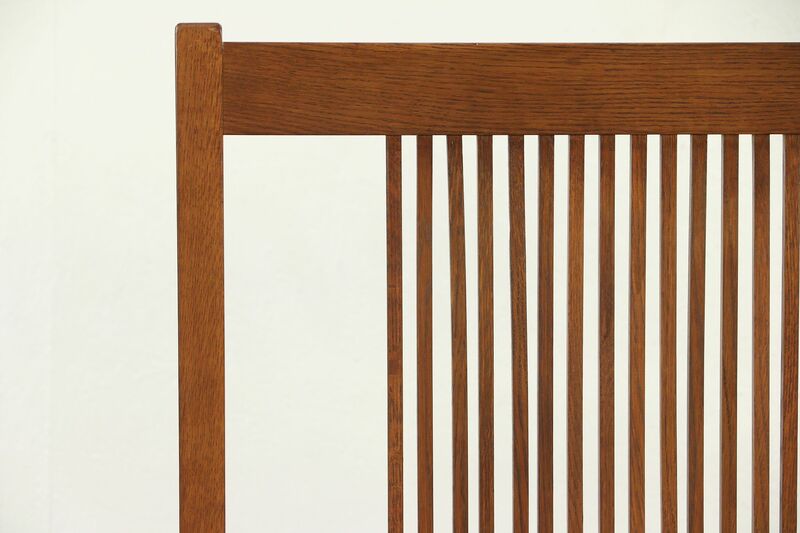 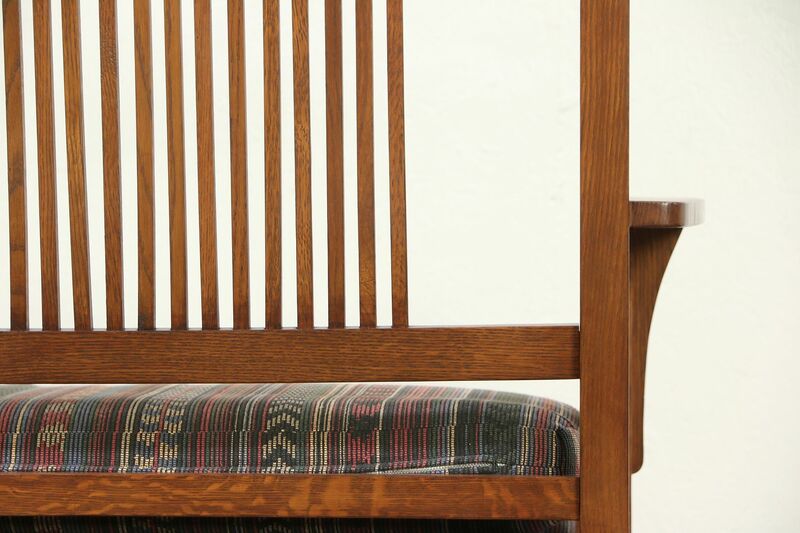 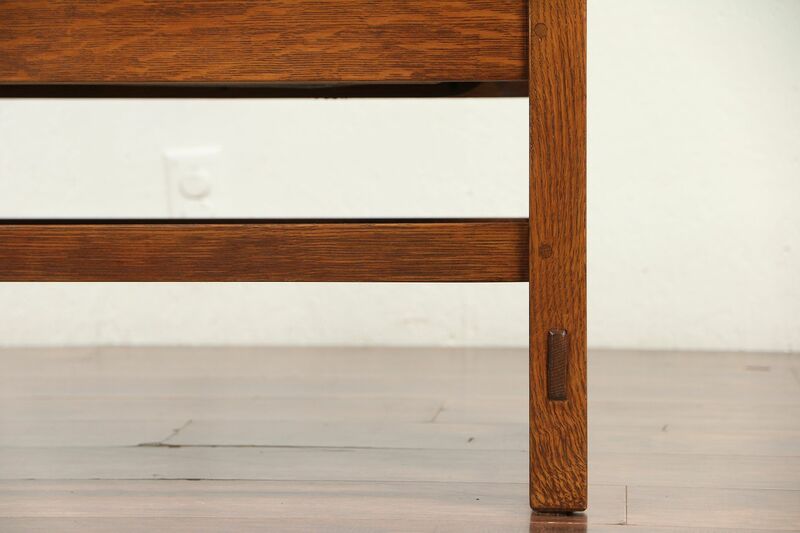 The renewed finish is in excellent condition on this American made vintage furniture, purchased from "Porter's of Racine, Wis." Wooden pegs and mortise joints are authentic. 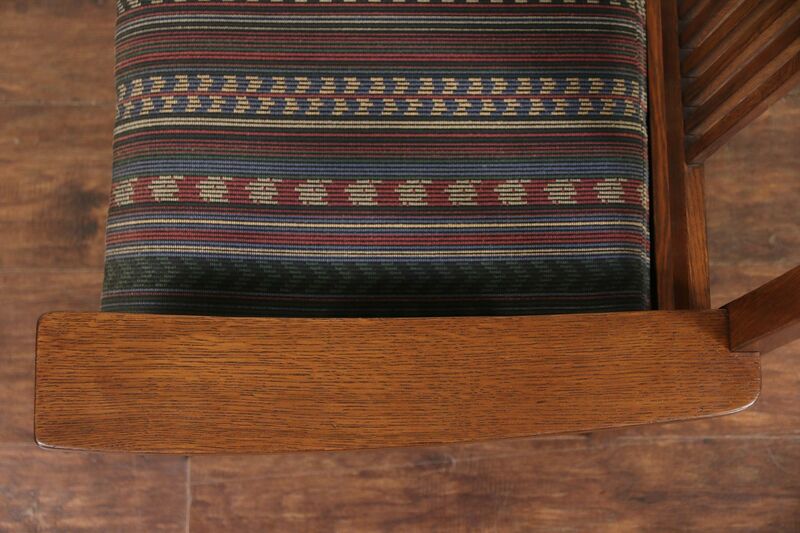 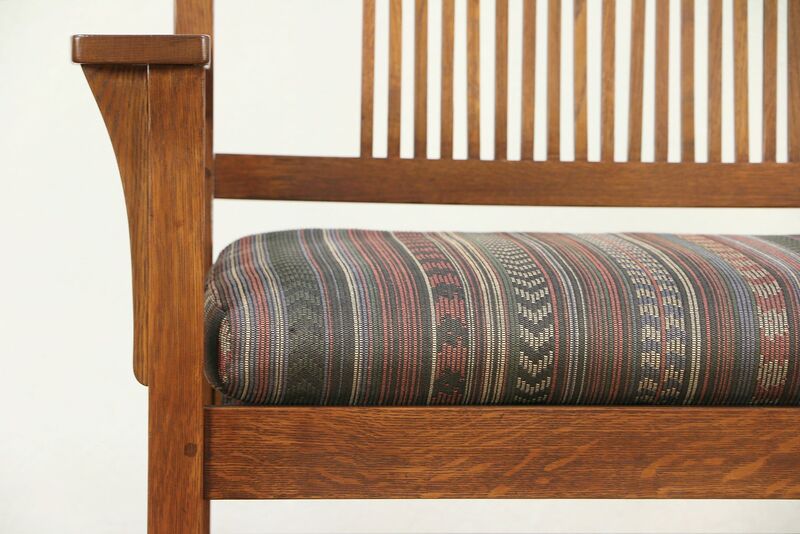 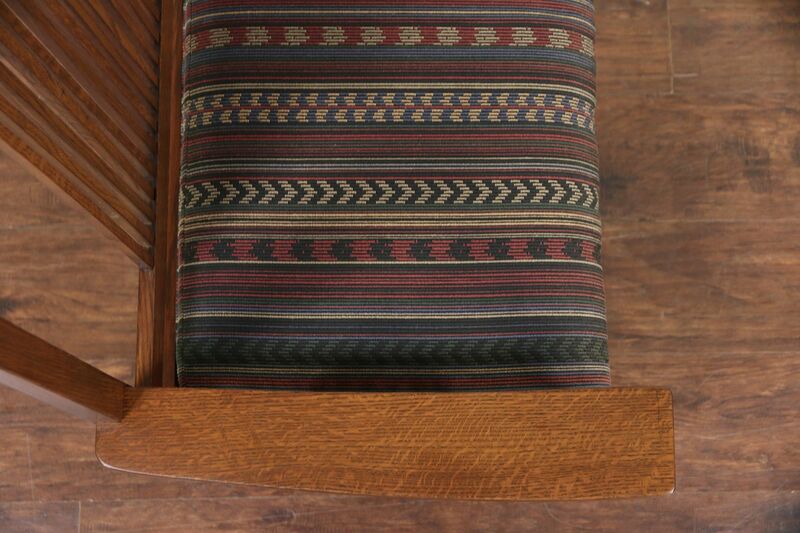 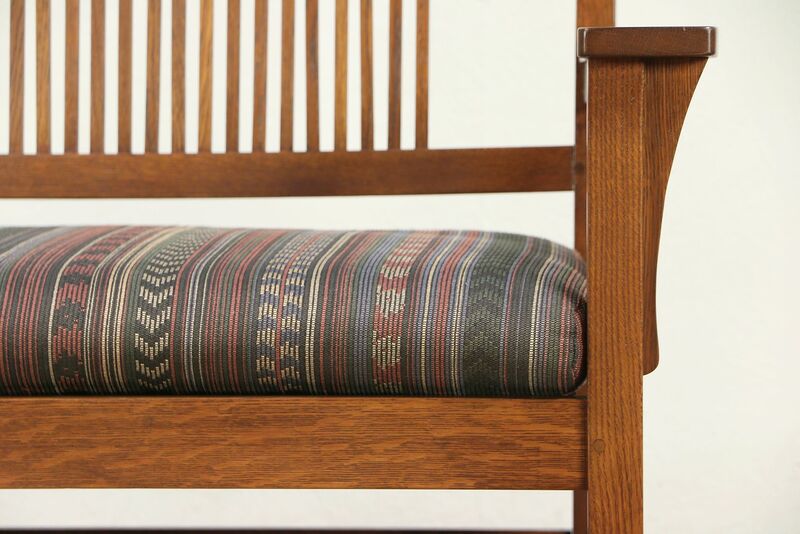 The zippered cushion has original upholstery in very fine condition. 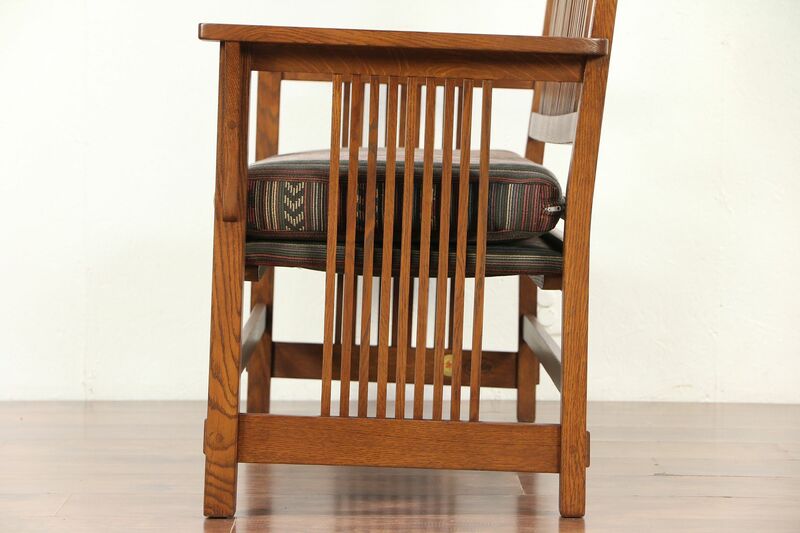 Size is 48" wide, 24" deep and 49" tall, the seat is 19" deep and 18" high.